Kishorn Dry Dock will come out of a 23 year long hibernation after an agreement was signed today to use the site during the construction of the world’s largest floating wind farm. Minister for Business, Innovation and Energy Paul Wheelhouse, who attended the ceremony, said: “I am delighted to be here in Kishorn today to witness the signing of the exclusivity agreement between Kishorn Port Ltd and the team developing the Kincardine Offshore wind farm - a key, newly consented floating offshore windfarm. This agreement paves the way for work to begin at Kishorn Dry Dock for the first time in 25 years, constructing the Kincardine Floating Offshore Windfarm, which will produce enough electricity to power almost 56,000 homes. 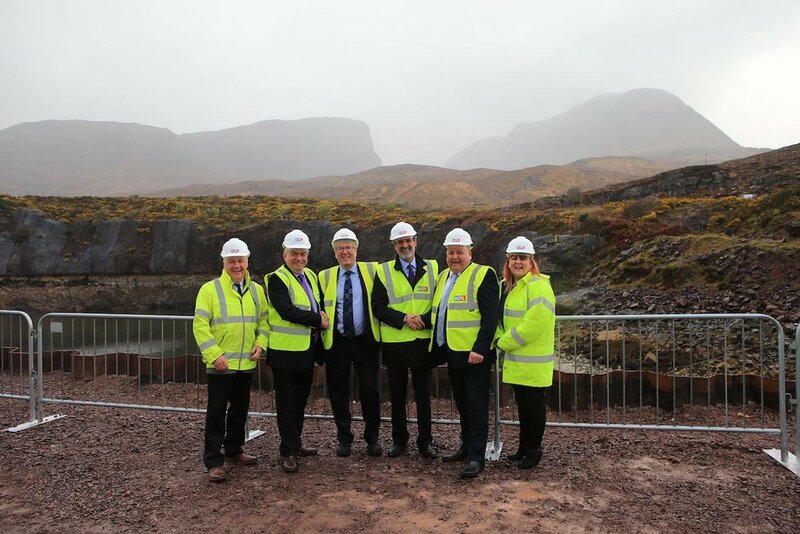 Highlands and Islands Enterprise (HIE) has invested £158,932 in the £450,000 costs of upgrading the dry dock in readiness for new contracts. HIE’s area manager for Skye, Lochaber and Wester Ross, Robert Muir, said: “It is great to see Kishorn coming to life again. The dock has huge potential, not just for renewables, but for oil and gas and aquaculture too. Kishorn Port Ltd is a joint venture between Ferguson Transport (Spean Bridge) Ltd and Leiths (Scotland) Ltd. Located on the north west coast of Scotland, Kishorn Port and Dry Dock is the ideal site for the manufacturing, laydown and assembly of renewable energy devices for offshore wind, wave and tidal sectors as well as oil & gas and decommissioning.